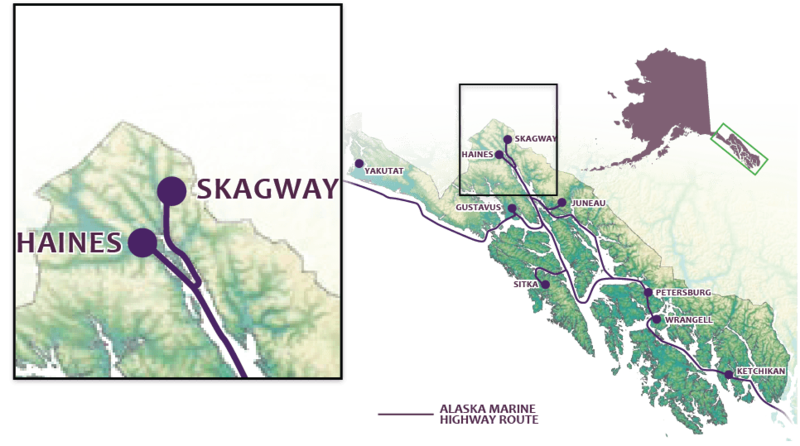 Like most communities in southeast Alaska, Skagway has extensive opportunities for people to get out and explore. Trails for every level of adventure-seeker are awaiting your arrival. Pair a hiking experience with a train ride: the White Pass & Yukon Route train, originally built for the Gold Rush, still runs service up to Denver Glacier and Laughton hiking trails for amazing glacier and mountain views. Other activities to enjoy include canoeing, kayaking, rafting, biking, skiing, and mountain and ice climbing. In winter, Skagway becomes a snowy playground. Adventures include the running of the Buckwheat Ski Classic, a cross-country ski event designed for “the lazy, the infirm and a few who are fast.” Or try snowshoeing trails with tracks set by early February.